The Board of Directors ("Board") of Malpac Holdings Berhad is committed to ensure the standards of corporate governance is used as a fundamental basis of the Board in discharging their ﬁduciary duties and responsibilities to protect and enhance shareholder values. Malpac believes talented personnel are critical to business success and therefore our directors and senior management are nominated and elected by way of meritocracy. Short listed candidates will be interviewed by the existing Board members and the final decision will be concluded via voting. The Group highly respect all genders workforces and their respective strengths and weaknesses in building the Group as part of the civil society corporate citizens. As at today, the Group’s employees consist of 40% female and 60% male. The Group will seek and put more attentions to achieve gender diversification not only in the quantitative manner but also in terms of the qualitative measure. The Group’s Board of Directors is however consisting mainly of the original founders who are all men. As a result, the Board is currently 100% male but the Board is of the view to support the initiative to include female representation to achieve a more gender diversified Board. Meritocracy, ownership and personality traits are still the utmost important considerations for the Board members appointment. Nevertheless, the Board do not intend to make it mandatory to achieve thirty percent (30%) female compositions in the Board as per the MCCG 2017 for very large company. 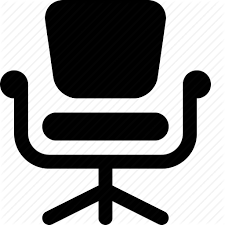 The Board agrees to give equal priority to female candidates who are competent, possess leadership qualities and suitable qualification with specialized knowledge who meet the Group’s needs to be considered for such appointment in the future.